It is a rare and delightful pleasure to share company with a World War II veteran and such was the occasion recently when I helped Paul Stillwell celebrate his 93rd birthday at the Edgewood Retirement Community in North Andover. Paul, who enlisted in the U.S. Army in 1943, served in the Central European and European-African-Middle Eastern theaters and was awarded Bronze Stars for his services. He overcame the strains of becoming a German prisoner of war in 1944 and returned to the States as a Corporeal. 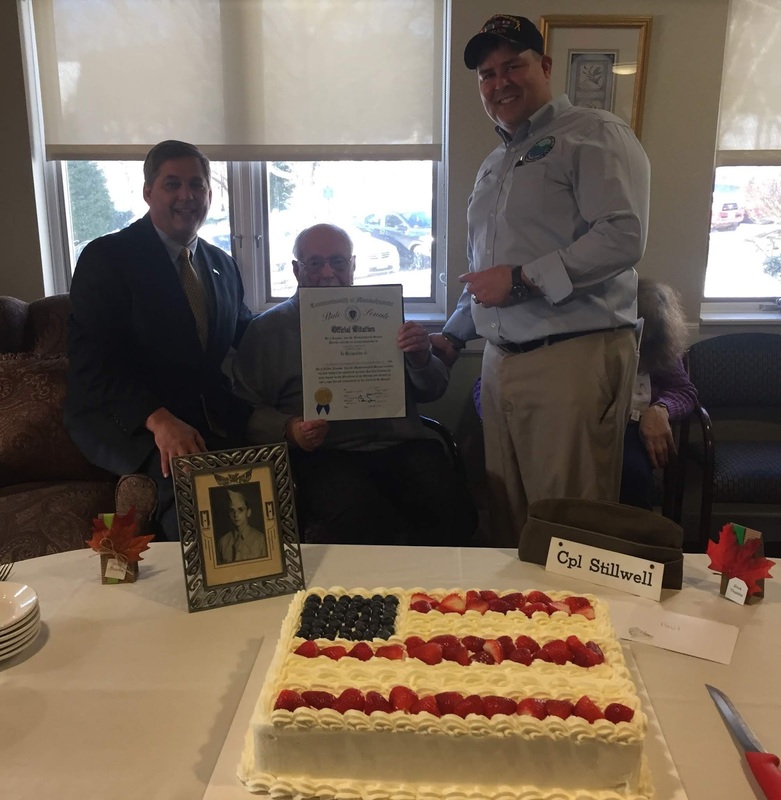 Joining us were several members of Paul’s family, Joseph Leblanc the Veterans Services Officer for North Andover and Boxford, and other friends. The fact that we have liberty and democracy and justice for all, things that are the envy of the rest of the world, we have, Paul, because of people like him who, when the time came, stood tall, put on a uniform, swore an oath to our country and went to face some of the most horrendous things people can face. We are so appreciative of his contributions.